WASHINGTON -- Some of Volkswagen Group's top executives may find it risky to leave Germany as U.S. prosecutors prepare to charge more company officials. Oliver Schmidt, a VW executive, was arrested in Miami as he was returning to Germany from vacation and faces charges of misleading regulators about the automaker's diesel-emissions cheating devices. Prosecutors are preparing to charge more high-level German-based executives in the case, a person familiar with the matter said. Schmidt's arrest caught many VW executives by surprise, including some attending this week's Detroit auto show, according to another person. Lawyers for some senior executives in Germany have already warned their clients not to leave the country, according to a third person. The arrest and the looming charges against senior executives show that the year-long investigation into the emissions cheating is coming to a head in the final days of the Obama administration. A multibillion-dollar settlement between the carmaker and the Justice Department will probably come this week, people familiar with the matter have said. VW admitted last year that about 11 million diesel cars worldwide were outfitted with so-called defeat devices, embedded algorithms used to game emissions tests. 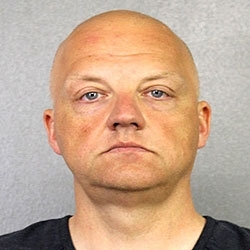 Schmidt, 48, who was VW's liaison with U.S. environmental regulators, appeared in federal court in Miami Monday, where a judge ordered him held in custody as a flight risk. His lawyer sought Schmidt's release, saying his client had alerted the government he was visiting and was willing to speak with investigators and face charges. The court filing against Schmidt lays out what could be a road map to charges against higher-level executives. Volkswagen's senior officials in Wolfsburg, Germany, were told in July 2015 of the existence, purpose and characteristics of the device that lowered emissions on diesel cars when undergoing environmental testing, the U.S. alleged, citing information obtained from three cooperators. VW admitted its efforts to skirt environmental standards in September 2015. Schmidt, shown here in his booking photo taken Monday, is accused of playing an important role in VW's efforts to hide emissions cheating from U.S. regulators. "VW employees assured VW executive management that U.S. regulators were not aware of the defeat device," according to the filing in federal court in Detroit. "Rather than advocate for disclosure of the defeat device to U.S. regulators, VW executive management authorized its continued concealment." The person familiar with the matter declined to specify when charges against more senior-level executives may be filed or whether any executives that could be charged are still employed by the automaker. The Justice Department declined to comment on additional charges. 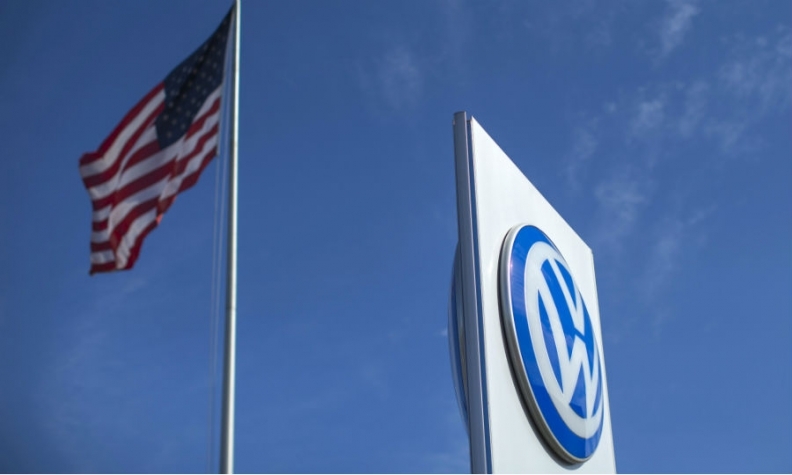 The government and Volkswagen have been trying to reach a settlement by Jan. 20 before the Trump administration comes into office and replaces the political appointees who have been overseeing the diesel-cheating case. VW also faces a criminal probe and lawsuits in Germany. The automaker's shares rose 4.9 percent to 145.85 euros in Frankfurt. Any criminal penalty from the government would come on top of a $14.7 billion U.S. civil settlement between drivers, regulators and VW that requires the company to fix or buy back some models and pay to promote zero-emissions vehicles. In all, the company has already committed to spending almost $20 billion to settle complaints by car owners, dealerships and regulators in the U.S. and Canada. VW has said top management was unaware of the decision to install the software to cheat emissions tests. "The then and current board of management of Volkswagen AG had, at any rate, no knowledge of the use of unlawful engine-management software at the time," Volkswagen wrote in its annual report for 2015, a statement it has cited in response to subsequent inquiries. VW has suspended or pushed out about a dozen executives in the aftermath of the scandal including former Chief Executive Officer Martin Winterkorn, who has denied any knowledge of the cheating. "Volkswagen continues to cooperate with the Department of Justice as we work to resolve remaining matters in the United States," the company said in a statement. "It would not be appropriate to comment on any ongoing investigations or to discuss personnel matters." The U.S. can charge individuals in Germany, but getting executives to stand trial in the U.S. could be difficult because Germany's constitution bars extradition of German nationals to foreign countries other than European Union members. Dozens of Volkswagen officials in Germany have hired U.S. criminal defense lawyers over the past several months as the Justice Department ramped up its investigation, Bloomberg reported last month. U.S. authorities have traveled to Germany to arrange interviews with managers and seek cooperation. Schmidt began working for the automaker in 1997 and served as general manager in charge of its Environmental and Engineering Office from 2012 to 2015, according to an affidavit filed by the Federal Bureau of Investigation. That office was primarily responsible for communicating and coordinating with U.S. regulatory agencies, according to the filing. In March 2015, Schmidt was promoted to a more senior management position within Volkswagen and returned to the company's headquarters in Germany. After learning in April 2014 that West Virginia University's Center for Alternative Fuels, Engines and Emissions had found that three VW diesel vehicles had emitted 40 times the permissible limit in the U.S., Schmidt wrote to a colleague: "It should first be decided whether we are honest. If we are not honest, everything stays as it is," according to the affidavit. In the same message, Schmidt noted that the International Council on Clean Transportation, an environmental group, had "stupidly" published the WVU findings. "Not good," he said. In the summer 2015, Schmidt took a direct role in VW's response to questions from U.S. regulators about the emissions tests. After these emissions-testing discrepancies became known to the U.S. government, he allegedly misled federal regulators about reasons for the differing test results. Schmidt offered "reasons for the discrepancy other than the fact that VW was intentionally cheating on U.S. emissions test in order to allow VW to continue to sell diesel vehicles in the United States," according to the affidavit. Schmidt is accused of participating in a conspiracy to defraud the U.S. government and Volkswagen customers and to violate the federal Clean Air Act from 2006 to 2015. The FBI affidavit lays out how in August 2015, senior Volkswagen managers approved a plan for what the automaker's employees would say in an upcoming meeting with California regulators. That plan called for Volkswagen employees to continue concealing the existence of the emissions device. However, one employee, who is cooperating with the investigation, ignored those instructions and admitted that Volkswagen cheated on U.S. emissions tests. The government notes in the criminal case against Schmidt that the charge against him is based in part on information from two cooperating witnesses who worked in Volkswagen's engine development department and also from James Liang, a former VW software engineer who pleaded guilty to a conspiracy charge in September. The unidentified witnesses are helping the U.S. in exchange for immunity from prosecution, according to the FBI affidavit. The case is U.S. v. Oliver Schmidt, 16-mj-30588, U.S. District Court, Eastern District of Michigan (Detroit).